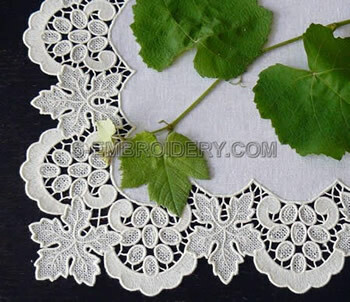 A set of 3 freestanding lace grape border machine embroidery designs. 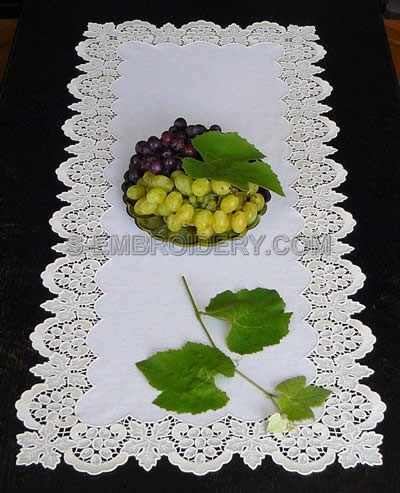 The set can be used to create table runners, table cloth, bed covers with a rectangular form and a size of your choice. 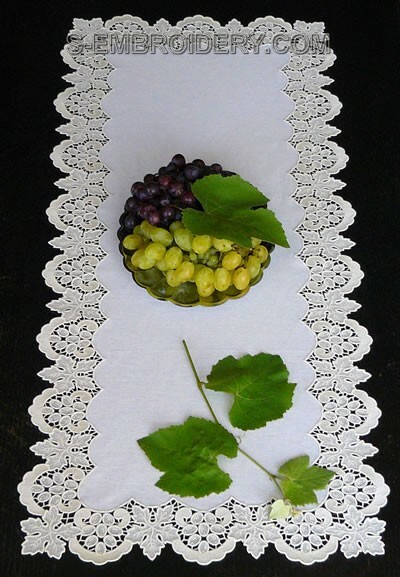 You receive 3 machine embroidery files in one of the supported formats and instructions for creating the table runner, featured on the product details page.